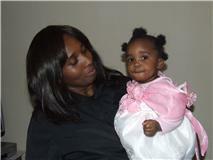 Bishop Gloria Musa with the baby Queen Elizabeth, removed on June 28 by Haringey council and not seen since. Official complaints were sent on saturday by recorded delivery to Crispin Blunt, minister for prisons / probation, both governors at Pentonville and Holloway, and at least 2 other prominent authorities regarding what we know about the situations of Chiwar and Gloria Musa, by myself and Belinda McKenzie. We, Belinda and i, will be seeing Chiwar today in approx 13 hours at Pentonville, all being well, and Gloria tomorrow, and Chiwar again on Friday. Hopefully things like them not receiving emails etc are bring addressed by the authorities, as well as, of course, Gloria Musas injuries. This entry was posted in Uncategorized and tagged child abuse victims of the state musa case maurice kirk norman scarth baylis family child abductions secret courts, musa children stolen haringey council. Bookmark the permalink.